In Christianity and Islam, Gabriel prophesied the birth of Jesus. He is regarded by Muslims as the intermediary between God and Muhammad in revealing the Qur’an, where he is known as Jibril. Believing in angels is one of the six Articles of Faith in Islam. In Mormonism he was both Noah in his mortal existence and Gabriel in the realms of heaven. 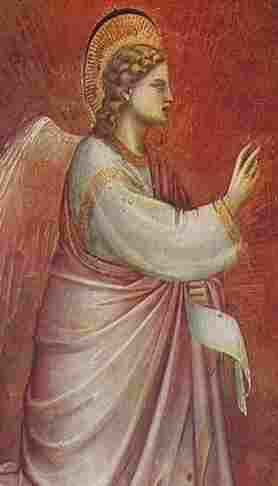 Gabriel is mentioned only twice in the New Testament, the passage “I am Gabriel, who stand before God” (Luke 1:19), have led some to think that he must belong to the highest rank, however he is an archangel which is 8th in rank of the 9 orders of angels. The orders are: Seraphim, Cherubim, Thrones, Dominions, Virtues, Powers, Principalities, Archangels and Angels.